Our 16" - 18" adj. pendant with a 3/4" h x 5/8" w micro pave rose gold cubic zirconia has tailored style with the glam & brilliance of a larger necklace. Our finely detailed pendant is ideal for brides & mothers of the bride who love dainty but want maximum sparkle. Brides, bridesmaids and mothers of the bride who adore the detail of vintage jewelry with the sparkle of brilliant new diamonds are sure to fall in love with Mariell's fiery teardrop micro pave rose gold cubic zirconia pendant. 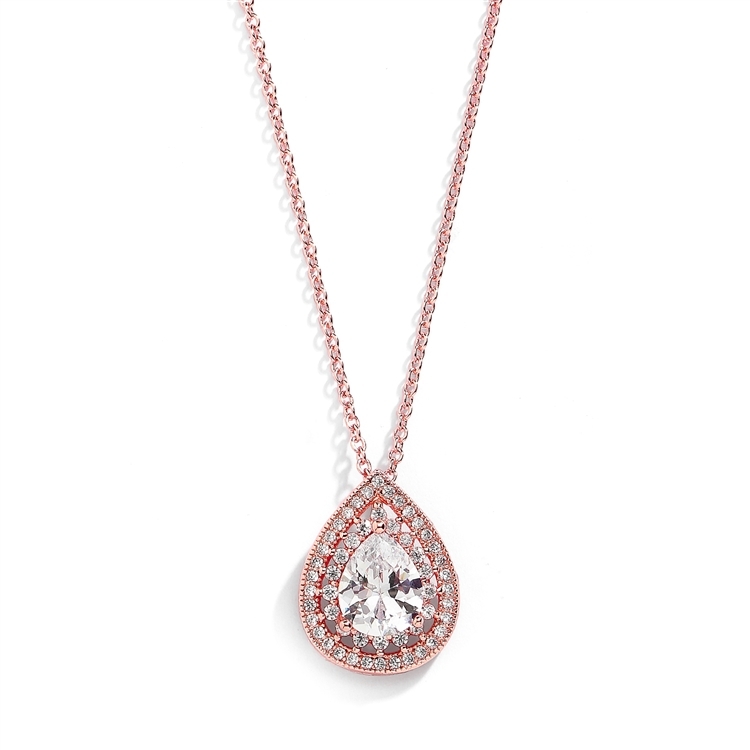 For a delicate necklace, the micro pave CZ's create a shimmer that can be seen across the room. It's hard to believe the wedding dance floor will illuminate with shimmering reflections from this tailored size necklace! This bridal pendant is a classic size sure to become a customer favorite! Add this necklace to your store's collection today at a great wholesale price!